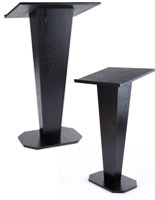 Each Black Wooden Lectern Stand Natural Grain Finish Fits Any Décor! The Podium has a Veneer Overlay to Give the Display an Authentic Look! 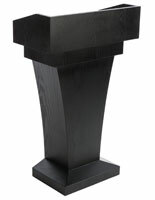 This Black Wooden Lectern Stand is Constructed from Plywood with a Veneer Overlay. 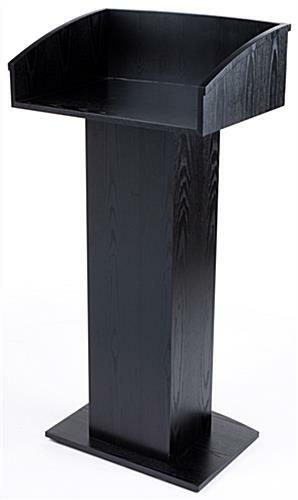 This black wooden lectern stand has a large semi-enclosed top pedestal. The lecture display's top shelf stands 39" tall. 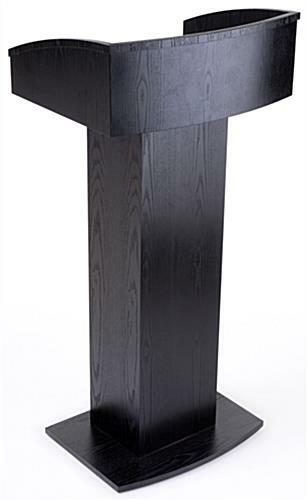 Each black wooden lectern stand that is constructed with plywood has a veneer overlay. 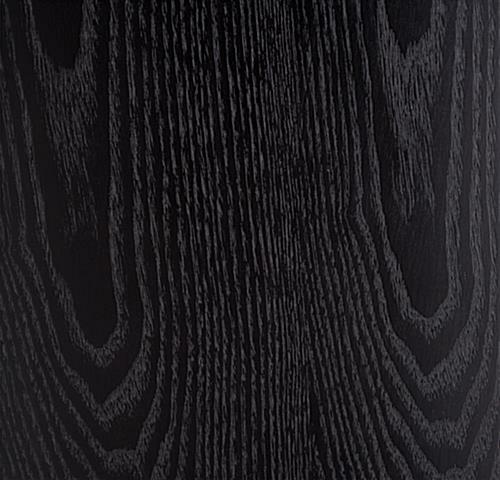 The overlay has a wood grain pattern for a natural look. 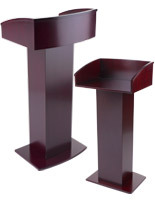 This black wooden lectern stand that has a sophisticated design is also affordable. 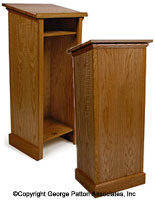 The lecture display sells at a fraction of the cost of units constructed from solid wood. Each black wooden lectern stand is made for lasting use. 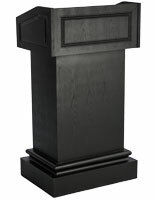 This podium is perfect for large banquet halls! 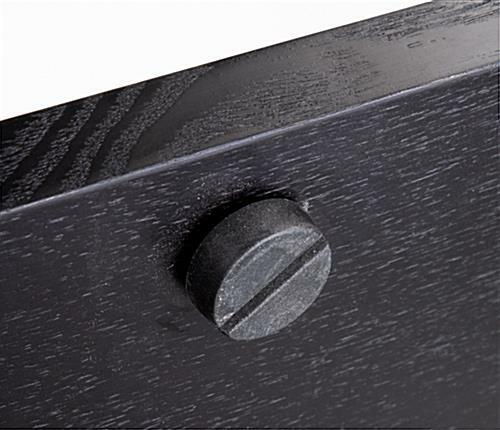 Each black wooden lectern stand has rubber feet to prevent scratching to base. The feet simple turn left or right to stabilize the display with any surface. Each church pulpit, black wooden lectern stand also has a large base. The podium 23-1/4"w x 19"d base is another stabilizer, helps to prevent the display from tipping over. 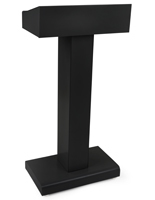 This black wooden lectern stand has a 21-3/4"w x 18-1/2"d large area for presentation papers. Each podium's reading surface is flat to hold speaker's notes. 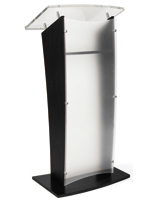 Each black wooden lectern stand has a semi-enclosed reading surface hides presentation notes and more. 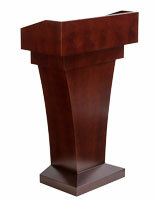 The podium can be used in convention centers, large conference rooms, or classrooms. 23.3" x 48.3" x 19.0"